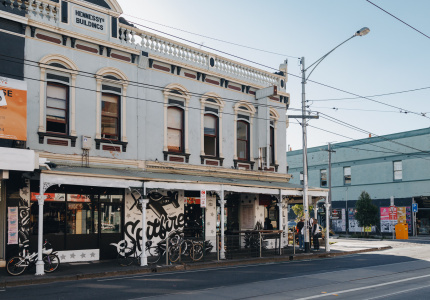 The team behind San Telmo, Pastuso and Palermo has something of a monopoly on South American food in Melbourne. 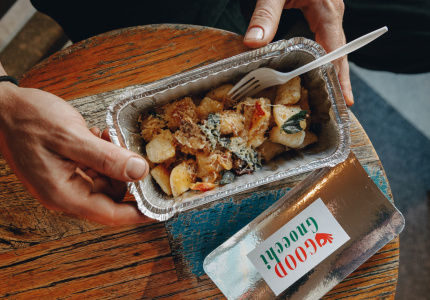 Each of their restaurants follows a well-oiled formula of grilled meats, big flavours – and cowhide. In August 2018, they added Asado to the domain. 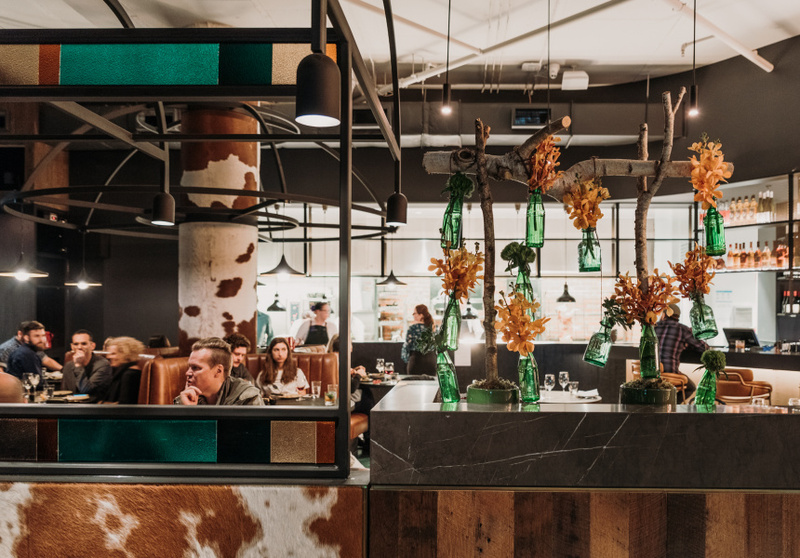 The other three restaurants are designed to feel rustic, trinkets co-owners David and Michael Parker collected from Argentina part of the fit-out. 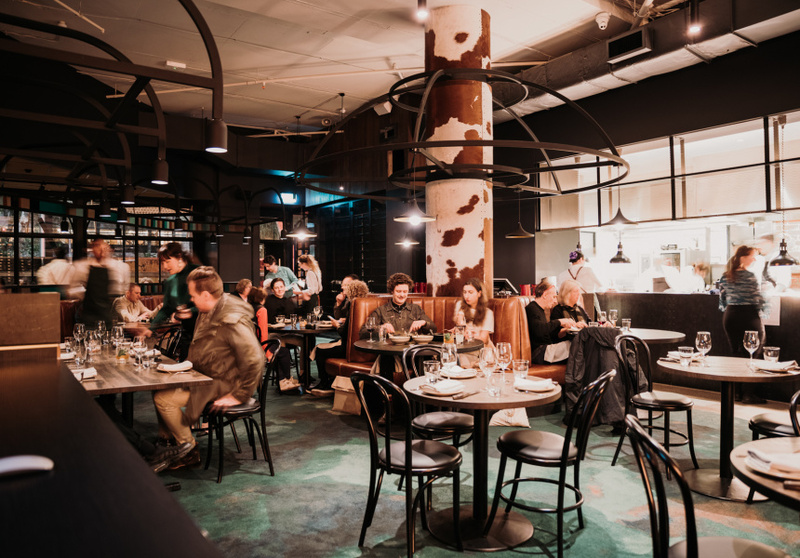 But beyond Asado’s huge red neon sign on Southbank’s polished concrete boardwalk there are no trinkets, just a modern, tan-leather-filled dining room. While similarly focused whole-beast barbeque restaurant Mjølner invests in one-of-a-kind handmade steak knives, Asado feels more like a gleaming hotel bar, with every detail matching a theme. Tables are set with identical, Asado-branded knives. 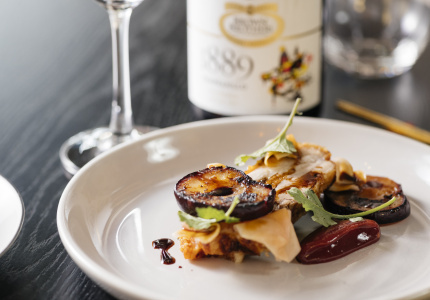 Asado is also bigger than its sibling venues, with 250 seats inside and out, a private dining room and, on the other side of a wall of Argentinian wines, a takeaway sandwich shop. 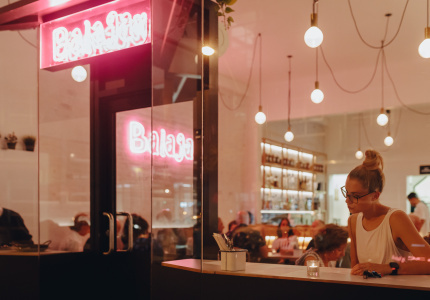 Unlike the traditional Argentinian food of San Telmo and Pastuso, and Palermo that nods to Argentina’s Italian influences, Asado has a Spanish focus. Tapas to start includes pan con tomate (toast smeared with olive oil and fresh tomato); salt cod croquettes; charred baby octopus; and a bowl of artichoke hearts, chunky and creamy, served with cherry tomatoes and vinegar – a dish that’ll have you dreaming of markets in the south of Spain. Beef tongues are brined for a day, cooked for 12 hours, then sliced thinly, skewered and flamed on an intensely hot, custom fine-mesh grill (similar to a Japanese Hibachi). The custom stainless steel asado fire pit (used in Argentina to barbeque, usually outdoors) and charcoal parrilla (pronounced “pa-ri-sha”, a flat grill over coals) are each roughly a metre and a half in width, and used about half of the long menu. The fire pit fits two whole animals, and more – sometimes whole chickens or vegetables – on the rack above. Of the group’s four restaurants, Palermo, which opened in 2017, was the first of the group’s four restaurants to use the asado fire pit as well as the parrilla. 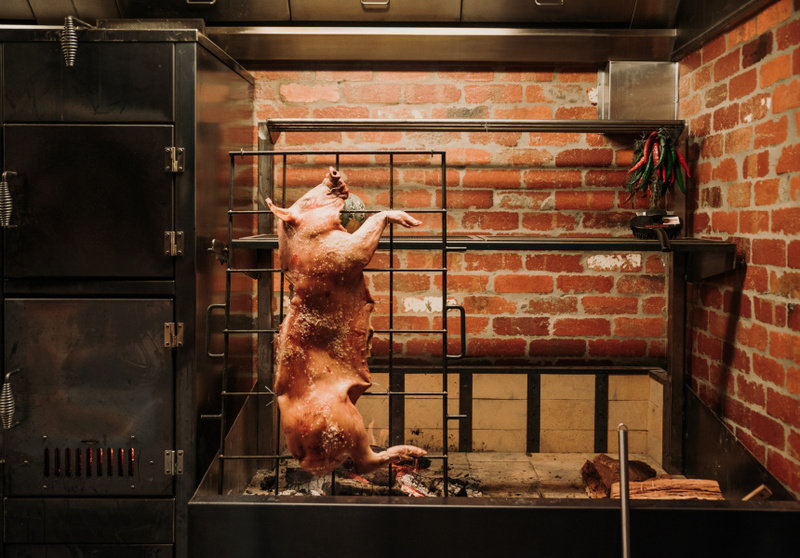 Executive chef Ollie Gould, formerly of Stokehouse, Gould is now a confident asador (pit-master). The outrageously tender pork is carved so each portion has a mix of cuts: ribs, some loin, belly, and squares of crackling on top. Flank steak, eye fillet and bone-in strip loin from O’Connor beef are all cooked for around 10 minutes over the parrilla. The parrilla is also used to cook vegetables, such as padron peppers, whole onions slow-roasted in their skins, and grilled carrots with thick black bar marks, served with goat’s curd and black cabbage cream.